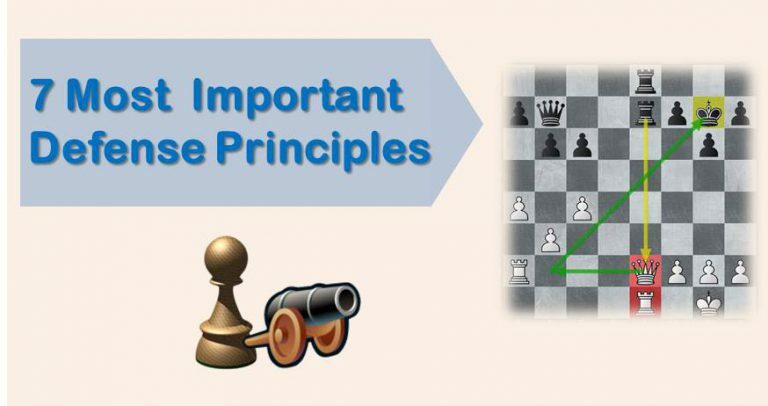 We have previously covered some of the most important defensive principles of chess. Today we will talk about the most exciting topic – the attack. Keep in mind that attack is the best form of defense. In order to attack well you need to be familiar with these seven very important attacking principles (they will help you to win many games). 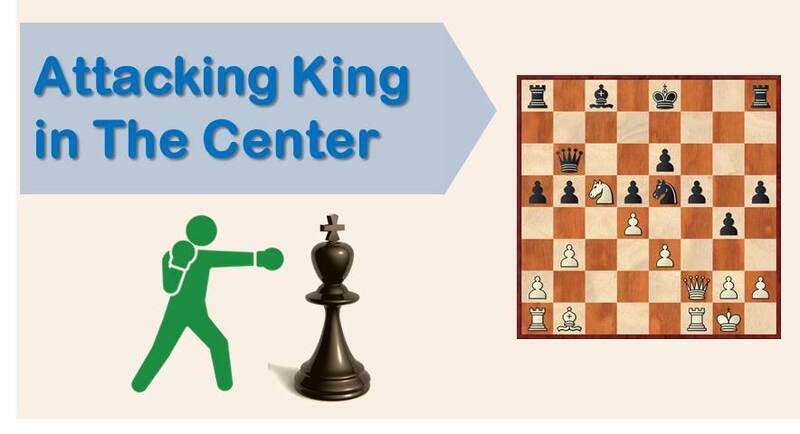 Creating a threat with every move is one of the most important principles of attacking chess. If your move possesses a threat, your opponent will have a much harder time realizing his own plans since he would have to utilize his resources to deal with the threats first. Always try to find a move that threatens your opponent’s safety. Take a look at the position below. It seems white is losing material because his queen, 2 pawns and the knight are in danger. If white plays passively he will lose a pawn and his advantage. White however, finds a strong counter-attacking move: 1. Qg3! Not only this move protects his own knight, but also it threatens black’s knight as well as prepares a discovered attack on the queen (after Nh5+). Now black will be the one losing a piece. Weaknesses come in different shapes and forms. Often, they need to be created before you can fully exploit them. If your opponent already has a weakness you need to regroup your forces and attack it. In the example below the material is equal. However, black has a very weak, backward c7-pawn. White regroups his forces and puts maximum pressure on the pawn. The important idea that many amateur players don’t understand is that even though white cannot win the c7-pawn right away, he gets an enormous advantage in pieces activity. Compare how white pieces are positioned compared to their black’s counterparts. The position is technically won for white. 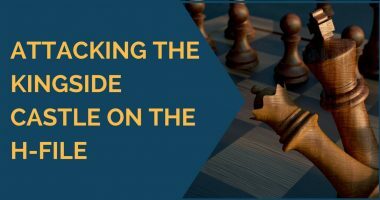 If you want to improve your positional chess and start converting more middle games into wins, you should give a try to our training course which covers most important middle game positions in a step-by-step easy to follow and understand way. Before you launch a massive attack, you need to make all necessary preparations. Not preparing the attack is a huge mistake that can turn out to be very costly. By concentrating pieces in the region of the board where you plan to attack, you will have all available resources, increasing the possibility of success. In the position below white is attacking on the king’s side. He plays 1.Qh2, bringing the queen on the h-file and threatening black king’s safety. Next, white will play something like 2.Ne5 instead of taking the pawn, focusing on king’s side in general and not thinking about the small material gain. “Not rushing” is a very important concept in many chess positions. It is much better to prepare an attack and to mate an opponent, than simply to win a pawn. This is a common sense rule, and still many players ignore that simple idea. If you have an attack in progress, it makes sense to open the position even further to allow your bishops and rooks to take use of that open space. In the position below black was greedy in the opening and grabbed some pawns in expense of development. Now his queen is misplaced and the king is under attack. White just played 1.d4! taking advantage of black king’s vulnerable position. The idea is to open the e-file and to include the rooks and queen in the attack. Black is already is trouble. By exchanging off the key defender in the opponent’s position you will make the attack much stronger. Keep in mind that the key defender is not always the strongest piece. Let’s take a look at the position below. White prepared an attack on the king’s side, by opening h-file and doubling the rooks. However, white cannot advance onto h8 because the black’s dark squared bishop defends that important square. The g7-bishop is the key defender in this position. White’s plan is to exchange it off. Therefore, the move is obvious 1.Bc3! This rule may seem to contradict with the previous one. Let me clarify what it means. Even though you should exchange off the key defenders in the opponent’s position, you should avoid unnecessary exchanges since it will only benefit your opponent. Fewer pieces mean fewer attacking possibilities and fewer things to worry about. That’s not what we should go after. In the position below white has significant advantage. He is a pawn up and the black king’s side is weak. White needs to avoid trading queens and followed by lifting the rook to g3. This is a very powerful technique that you should use in your own games. When your opponent was able to defend on one side of the board, you should relocate your pieces on the other side and continue the attack. In the example below black defends queen’s side with both rooks and the king pretty well. Therefore, white changes direction of the attack and relocates his pieces on h-file winning material. In order to understand how to play middle-gameswell it is important to have deep positional understanding. In order to improve your positional understanding we suggest you to sign up for our comprehensive training course. Robots are weak. AI is strong.